In the 21st century consumers are faced with the fact that they carry with them a beacon that is continuously transmitting details of their location. However, it is not only the smartphones that we carry that transmit extremely exact details of where we are located. Modern motor vehicles are now increasingly equipped with advanced GPS systems, as are laptops using software such as the Google search engine and its associated applications like Google maps. Social networks also use location tracking as part of their service (think ‘friend finder’) or as part of their efforts to provide contextual advertising to users. The fact of the matter is that almost every user of a mobile device has become used to the functionality that relies on GPS and location mapping. For users of taxi services (such as Uber and Lyft) the convenience of the driver knowing where the customer is situated and the knowledge of when they will arrive to provide a service has now been so deeply ingrained in the way that they interact with the service that it has become second nature. The same could be said of those who want to locate dining or food delivery options. Retail giants such as Amazon use location services to, in their words: “provide and improve our services, such as voice services, the Maps app, and Find Your Device, and to monitor the performance and accuracy of our location services.” This includes locations of Amazon Echo devices. Google also uses location services with its Alexa device. In fact, the consumer would be hard pressed to find a single ‘smart’ device that does not use location services of one type or another. Location data – How is it collected? Your smartphone records every location you visit if the phone’s location services are turned on. Called cell-site location information (using cell towers to triangulate just where the user is located), this data is tracked on phones using both Android and iOS operating systems. The information can be quite telling; it might show the location of your home, your office, and other places you visit often. However, location data relies on much more than just GPS services that provide data while the location services are active. Even if you turn off your locations services on your mobile devices you are not free from the long arm of those organizations who want to gather your data. Google tracks Android phones that will track your location even if you disable location services and even if you aren’t logged into the phone. The question is how? 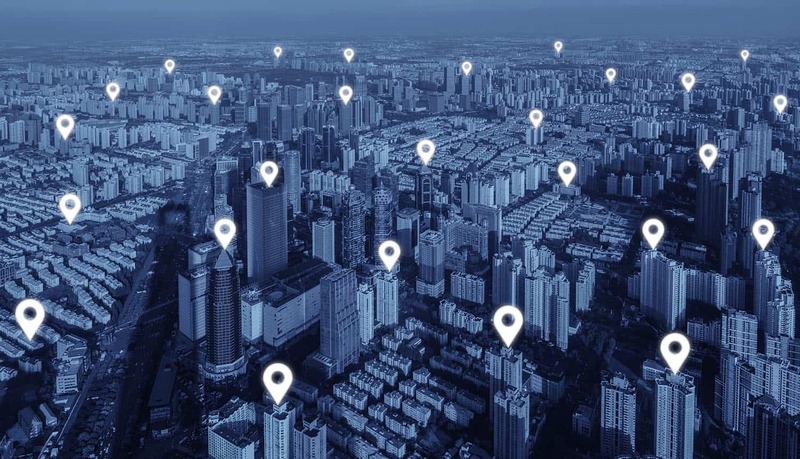 The answer is simple – the operating system automatically tracks the location of the cell towers it is connecting to and supplies that information to Google automatically. And there is no opt out. Even devices which have been reset to factory default, with location services disabled can (and do) send nearby cell-tower addresses to Google. Devices with a cellular data or WiFi connection automatically send the data to Google each time they come within range of a new cell tower. Frighteningly when Android devices are connected to a WiFi network, they will send the tower addresses to Google even if SIM cards are not present. As your Android phone is on, your location data is being to Google. In late 2017 the company revealed that this practice has existed for 11 months, but that the information was never stored or used and furthermore that it will cease the practice. It has not provided confirmation that it has ceased the activity in all countries where it operates – essentially the entire world..
What is the concern with location privacy? Location services in and of themselves are no problem. It is the information that is gathered and the organizations that gather and store the data that may be a cause for concern. It is this concern over privacy and the misuse of data that has some people worried. Contextual advertising has already come under the spotlight with users of social media beginning to rebel against the sheer volume of advertising they receive. However, this may be the tip of the iceberg. There are also legal issues related to location services (and the right to privacy) – especially the right of law enforcement to gather information on location without the express permission of the consumer. For instance, in the United States it is possible for law enforcement agencies in some jurisdictions to obtain location data without a warrant. The problem is that this information can then allow law enforcement to build a profile of a user’s behavior, which can then be used against him. In some states, that data can even be used without issuing a warrant.